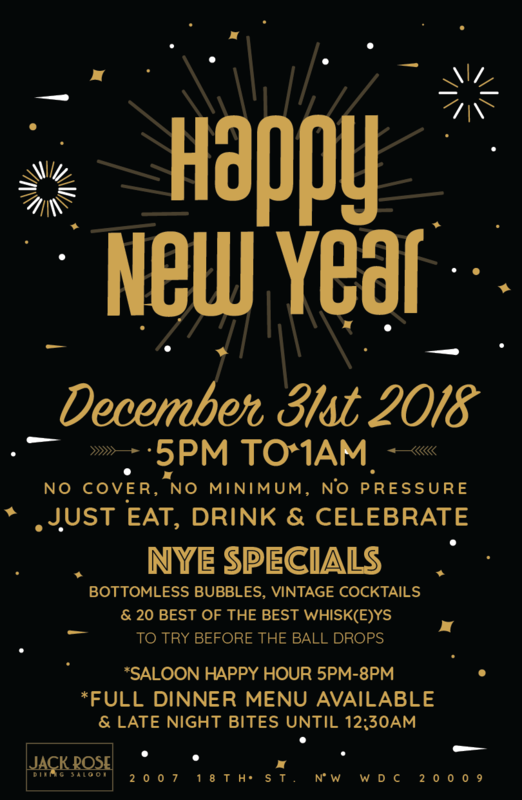 No Hassle, No Cover, No Pressure New Years Eve! Jack Rose is celebrating New Years Eve no hassle-style. Open for business as usual from 5pm to 1am, but will offer several NYE specials including vintage cocktails, and a special themed menu of the 20 best whiskeys to drink before the ball drops (hand-picked by owner Bill Thomas, in categories such as “Best Releases of 2018”, “Staff Picks” and “Bill’s Favorites”). Also offering extended happy hour in the Saloon from 5-8pm and the full dinner menu will be available.